Second Place: A $250 gift card to Mozart’s Coffee Roasters and a $250 gift card to Hula Hut. Third Place: A $100 gift card to Mozart’s Coffee Roasters and a $100 gift card to Hula Hut. Fifteen “Standouts”: Each will receive a $25 gift card to Mozart’s Coffee Roasters and a $25 gift card to Hula Hut. Audience Choice Award: An iPad mini. 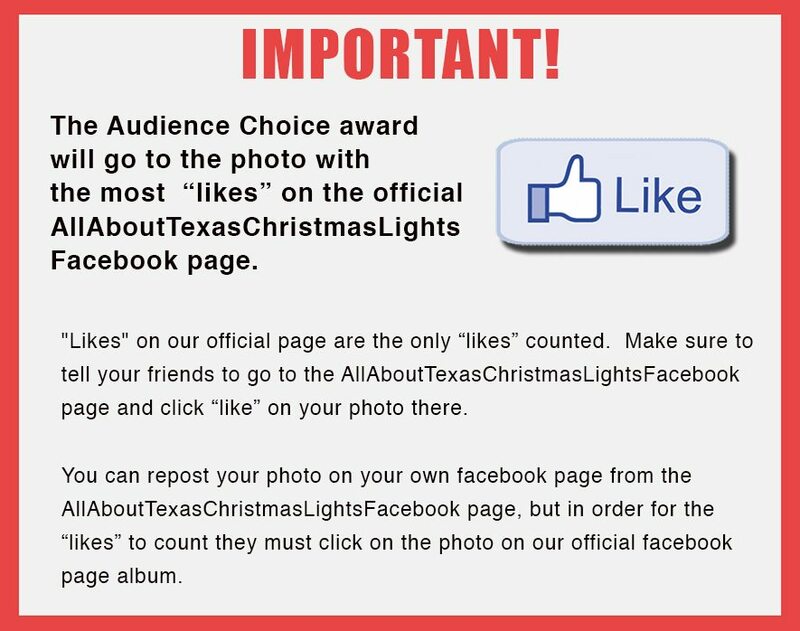 Winner determined by the number of likes on the official All About Texas Christmas Lights Facebook page. Don’t Forget, We are on Facebook! Audience Choice: Audience choice winner will receive an iPad mini. Winner will be determined by the photo that gets the most Facebook likes on the AllAboutTexasChristmasLightsFacebook page. All photo entries must be submitted by midnight on Wednesday, December 20th. The deadline for voting for Audience Choice is 24 hours after the submission deadline for the photo contest. Audience choice votes must be in by midnight on Thursday, Dec. 21st.